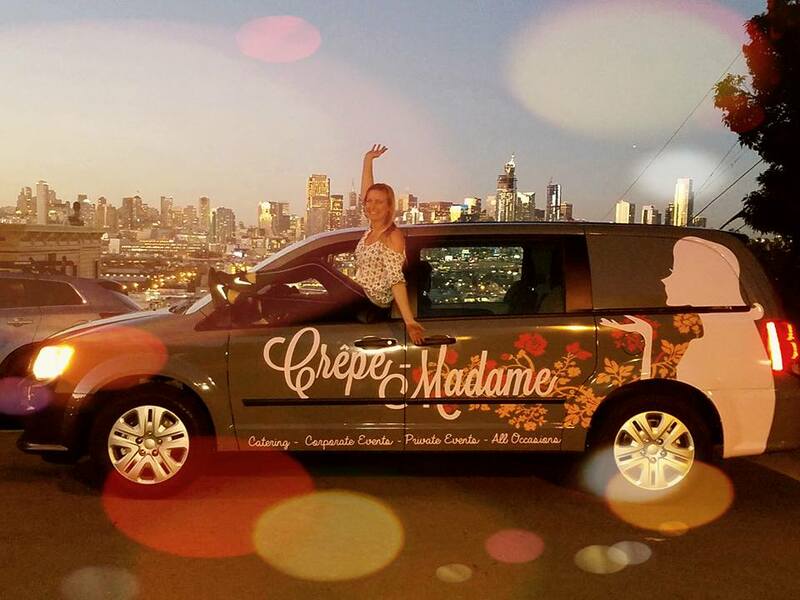 Crêpe-Madame is a on-site catering company serving San Francisco and The Greater Bay Area since 2012. Inspired by Bretagne, home of the most delicious crêpes in all of France, owner Laetitia Verdeaux, founded Crêpe-Madame for the love of bringing people together over heavenly food, and you can taste her passion in every bite. 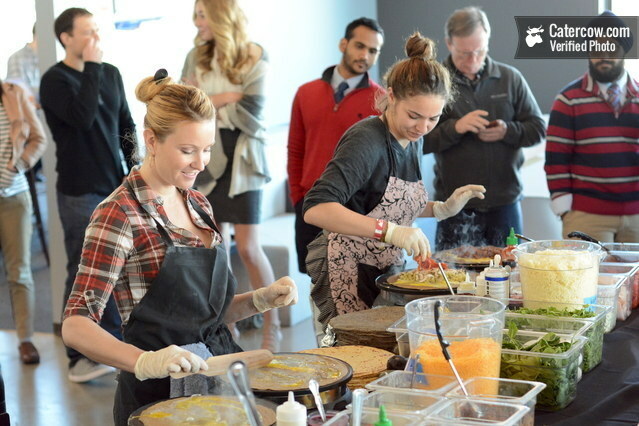 Specializing in Corporate events, Crêpe-Madame also caters a wide array of clients and events including Weddings, Holiday Parties, Baby Showers, Birthdays, Graduations, Festivals, Charity and Non-Profit Events. Whatever your occasion may be, with Crêpe-Madame, your event is sure to be an exquisite and memorable experience, in style! With the sun out shining, It’s the Perfect time to plan a backyard or Office CrêPE Party! Want to plan a party at your home, backyard or office? Please check out our Seasonal Crêpe Menu! Crepes are the perfect reason to come together and celebrate any season! With Crêpe-Madame you can expect the extraordinary as we set our standards far above your average caterer. We are absolutely passionate about delivering an Authentic French experience that you and your guests will find delightfully unforgettable. Each Savory Crêpe is made fresh to order before your eyes with authentic Gluten-Free Buckwheat Flour that's been delectably infused with Herbs de Provence, Olive Oil, and Garlic Salt to perfectly compliment fresh, organic, and wholesome ingredients. Our unique Sweet Crêpe, made of Wheat Flour are lusciously infused with Orange and Vanilla essence and a sure cure for any sweet tooth no matter what time of the day. Contact us today for an exclusive sweet and savory French crêpes experience your guests will rave about! Behold the beauty of the crêpe! 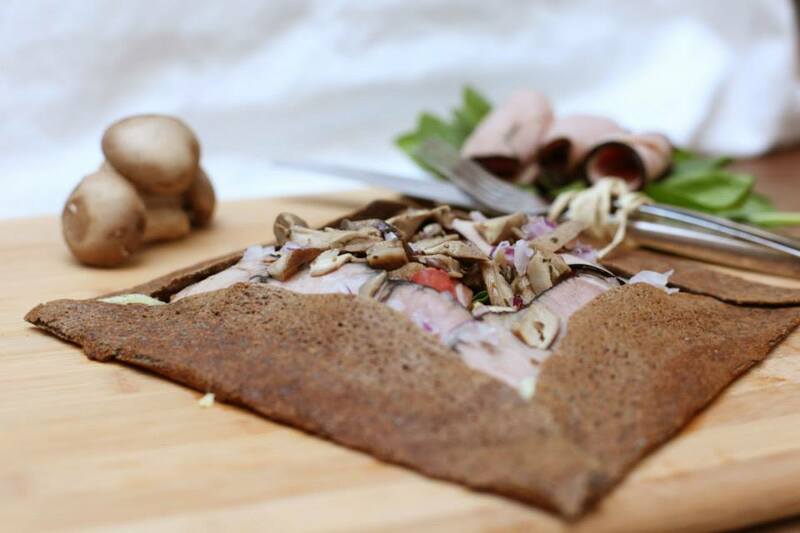 CRÊPE MADAME CATERS TO ALL, EVEN THOSE RIGID DIETARY RESTRICTIONS SUCH AS CELIACS AND VEGANS! Laetitia Verdeaux started Crêpe Madame in June 2012. She always loved making food for people, especially for friends and family. For her, it is the best feeling in the world and has always brought her a deep sense of joy and accomplishment knowing everyone has a full belly. Laetitia discovered her passion for crêpes at a very young age. Although she never imagined owning her own catering company in California, she couldn't be more proud of her accomplishments to date and her clientele couldn't be more pleased that she did! For her, it's sheer delight every time she witnesses others savor a crêpe and experience that amazing moment when people's taste buds spark the same way hers did the first time she ate one. In Laetitia's words, 'There is nothing better than starting your day putting smile on people’s face". She accredits her rapid growth and success to being able to do what she loves everyday. In addition, Laetitia gives much credit and thanks to her incredible team and their dedication to making every event a fun and memorable experience. Crêpe Madame sources all of their produce from local organic farmers markets and all their sauces and chocolates are homemade from scratch. You can taste the love and freshness in every bite! Because Laetitia and team are perfectionists when it comes to their work and view each little detail as important as the next with savoir-faire, the end product, service, and over all experience make each event as successful as the next. Crêpe Madame is not your ordinary catered food, it is a masterpiece for all the senses. Whether you are looking for catering at your home, office, or other fabulous venue, large or small, Crêpe Madame offers the ABSOLUTE BEST catering to accommodate and delight all of your guests, even those with rigid dietary restrictions. For an authentic French experience, immerse yourself into unique universe of crêpes & festivity and contact us today!